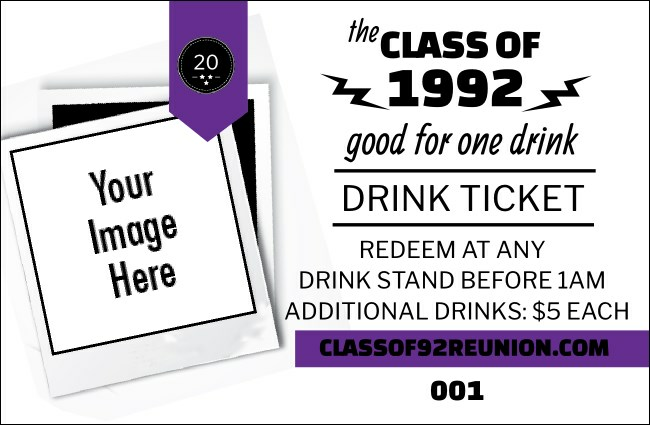 Rejuvenate your school reunion when you print Class Reunion Mascot Purple Drink Tickets for your next alumni event. Each classic ticket features room for you to upload your own image on a purple and white background with sequential numbering for easy and fast event organization. TicketPrinting.com helps you relive the good old days!